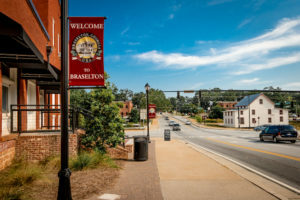 Officially chartered in 1916 and having celebrated its centennial last year, Braselton’s town limits now reach into four counties: Barrow, Gwinnett, Hall and Jackson. 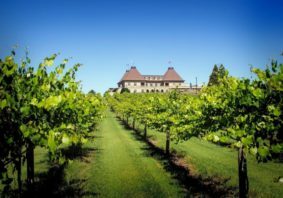 Just under an hour drive from Downtown Atlanta, the town of just under 10,000 residents may surprise you; though residents pride themselves on maintaining a close-knit community, renowned attractions like Château Élan Resort & Winery, Mayfield Dairy Farms Visitors Center and Road Atlanta bring visitors from throughout the Southeast and beyond that raise the quality of life for residents, business owners and tourists alike. 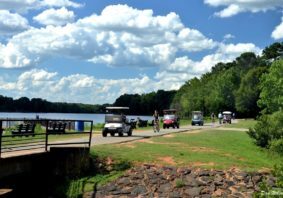 Offering more than a mile of connected pathways, LifePath allows residents and visitors to get out and enjoy Braselton. 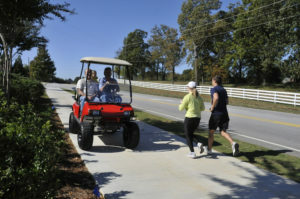 The winery, along with a selection of the community’s residential, retail and offices along Georgia Highways 211 and 347, is connected by Braselton’s LifePath, a 1.7-mile, 10-foot wide concrete pathway that allows golf carts, cyclists, pedestrians and joggers to use the trail. 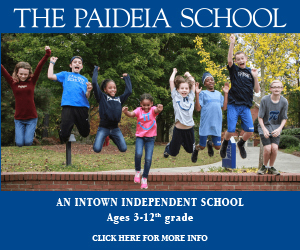 Since its construction in 2012, funded by the Braselton Community Improvement District, LifePath has also hosted several community events, including the first-ever Paddy’s Day Pathfest this year, which welcomed families for a parade, games and family-friendly activities March 18. Also connected by the LifePath is the Northeast Georgia Medical Center, a 100-bed hospital that offers heart services, vascular services, orthopedics, neurosciences, cancer treatment, surgery, emergency services, obstetrical services and NICU care. 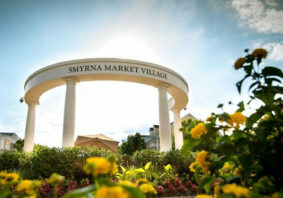 The top-notch medical facility makes the greater Braselton area a good choice for both young families seeking close-to-home care and new residents approaching their golden years, as the town has attracted numerous 55-plus active community developments. 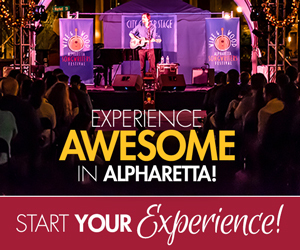 Downtown Braselton offers plenty of dining options and antique shops. 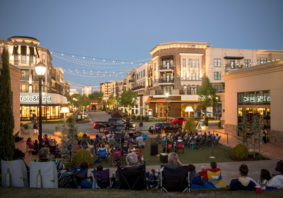 With two exits off Interstate 85, Braselton is a vital connection between Atlanta and the Carolinas, serving as a hub for big industry like Carters, Amazon, Petco and Williams Sonoma. Business is booming in the quaint historic downtown district, with multiple antique shops, art, fine dining and the addition of a new town green makes it a welcoming spot for all. “Whether you’re a resident or a hotel guest, or you just work in one of our shops, restaurants or offices, it’s just a good place to be. 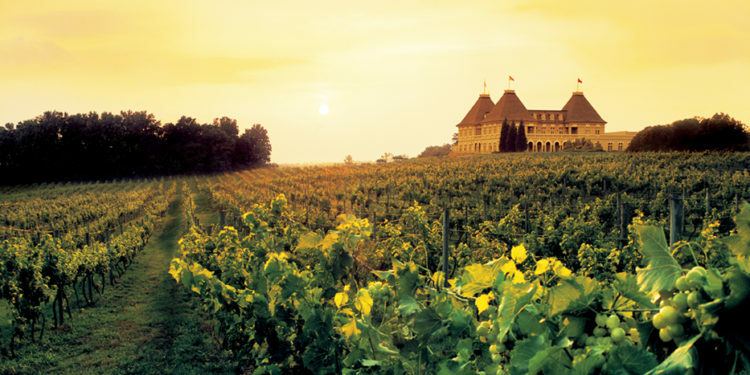 And once you come, you’ll want to stay,” says Slappey.